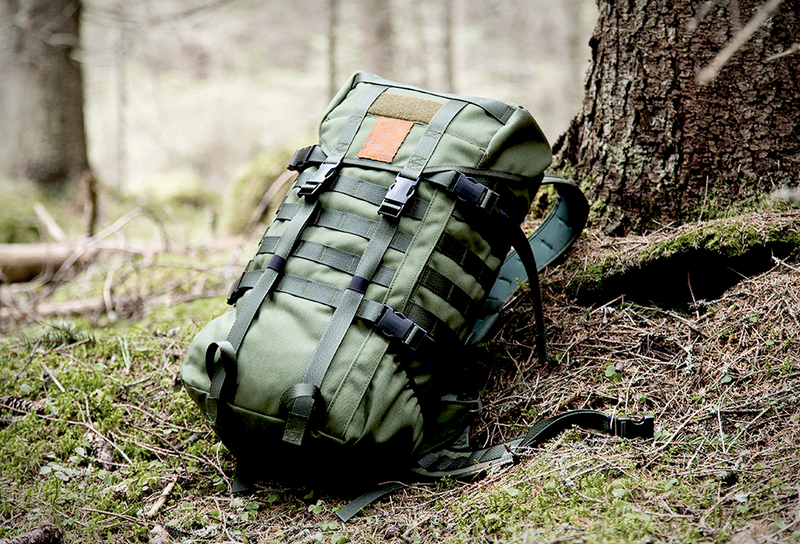 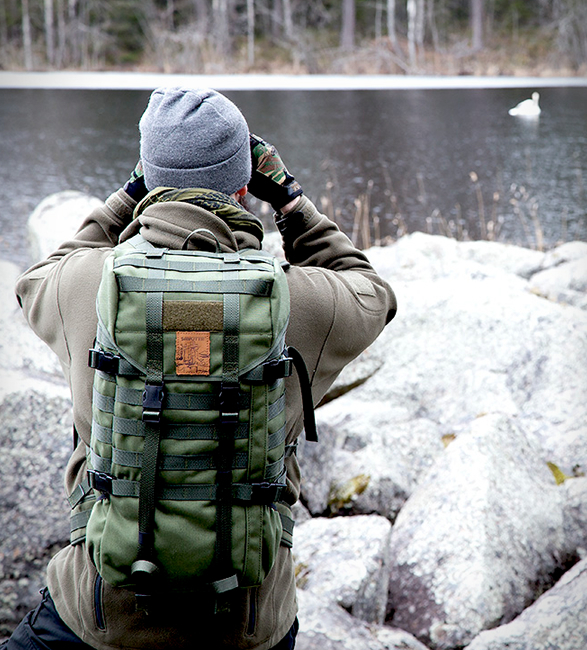 Savotta is Finnish brand, which since 1955 specializes in the production of various Outdoor backpacks. 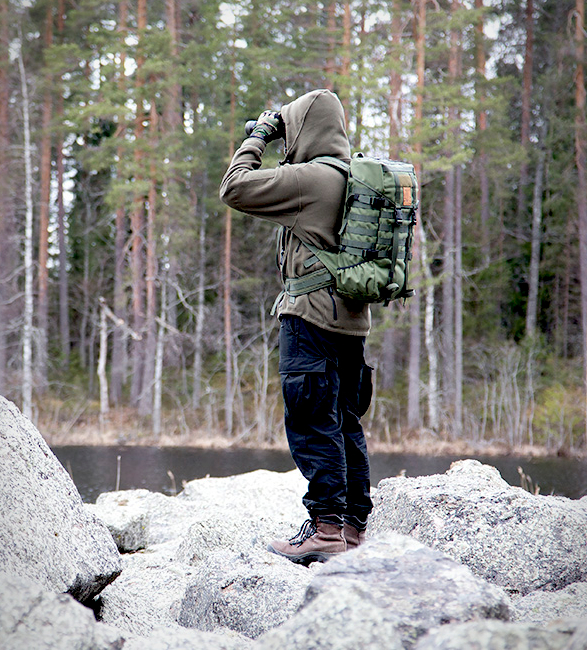 Their good-looking Jaeger Backpack is an improved model of the Light Border Patrol backpack originally designed for the Finnish Border Guard, and due to its slim shape, the backpack will not be in the way even in cramped spaces and is ideal for skiing and hunting. 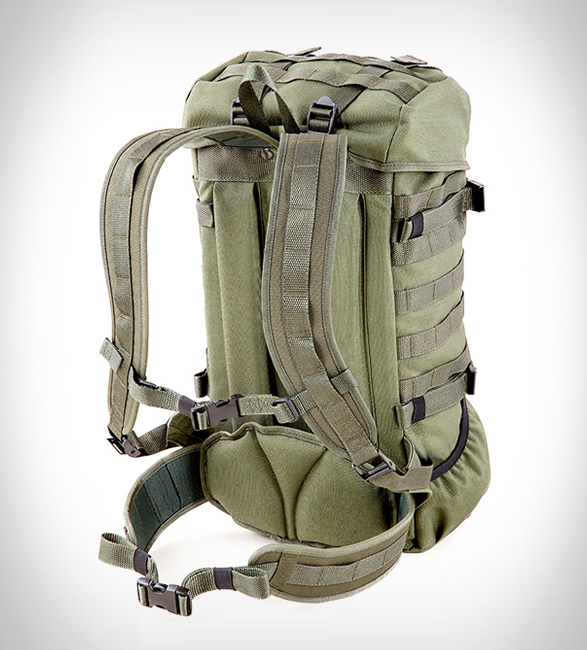 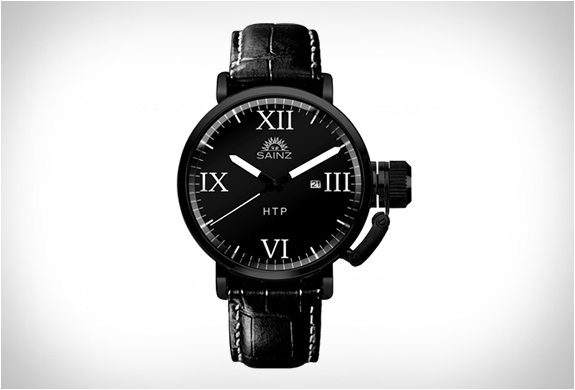 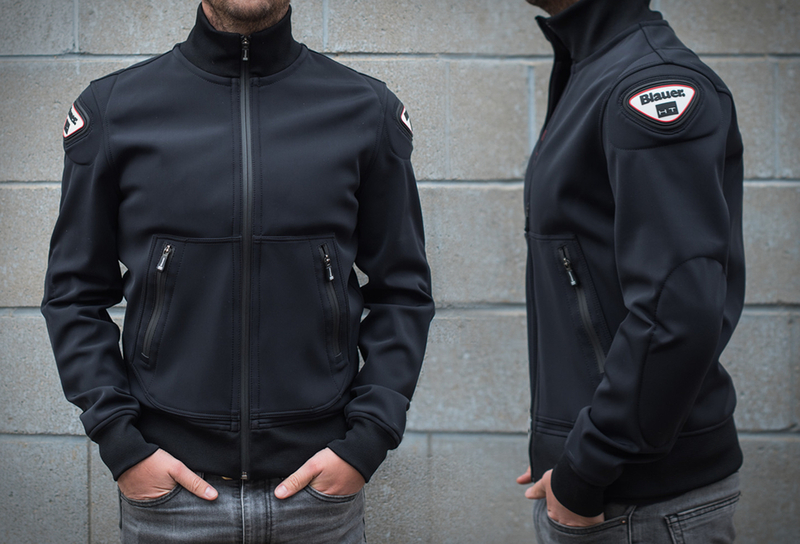 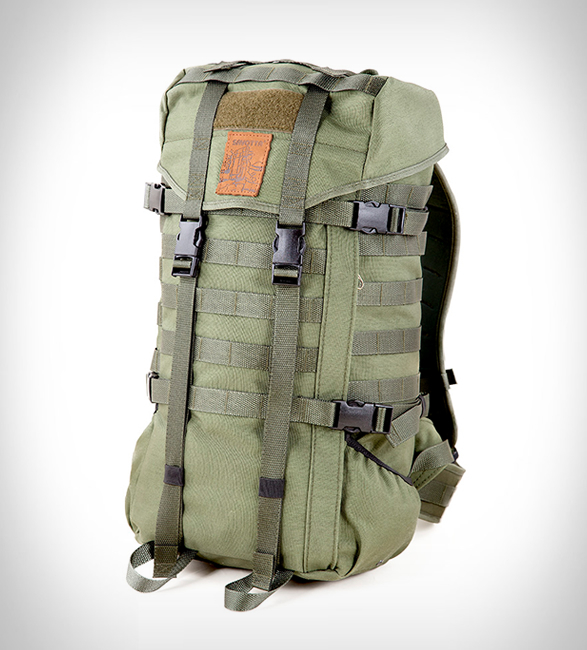 Manufactured with an extremely durable 1000D Cordura, this thing is built to withstand the elements. 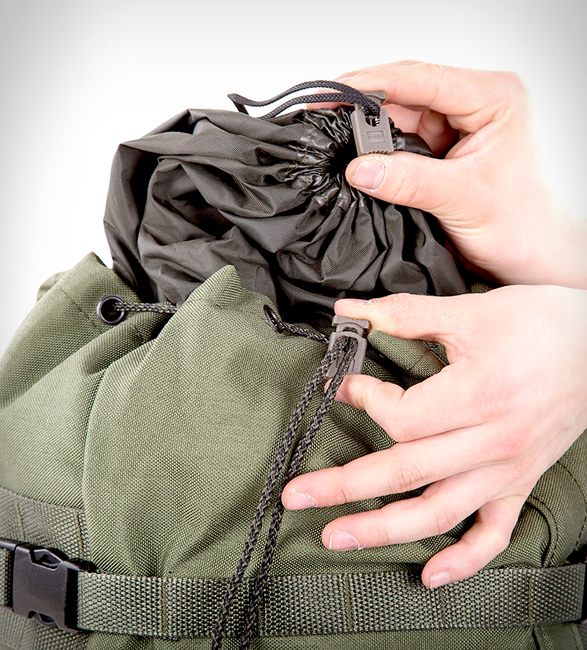 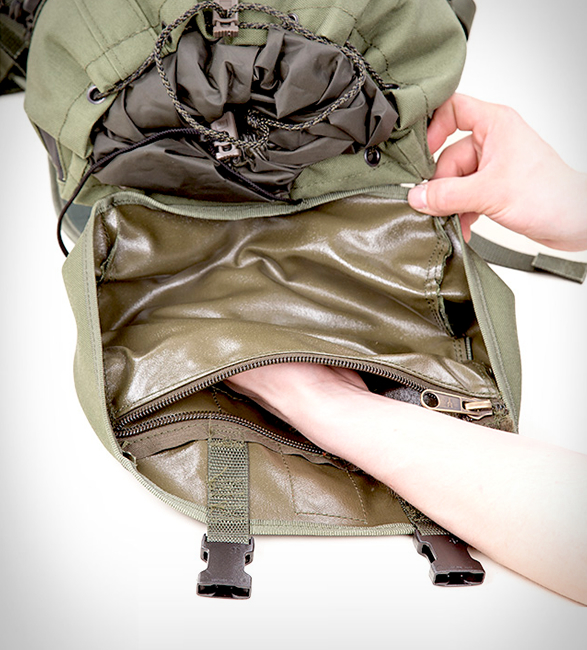 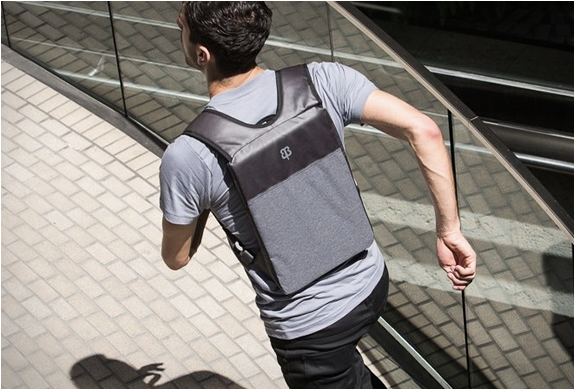 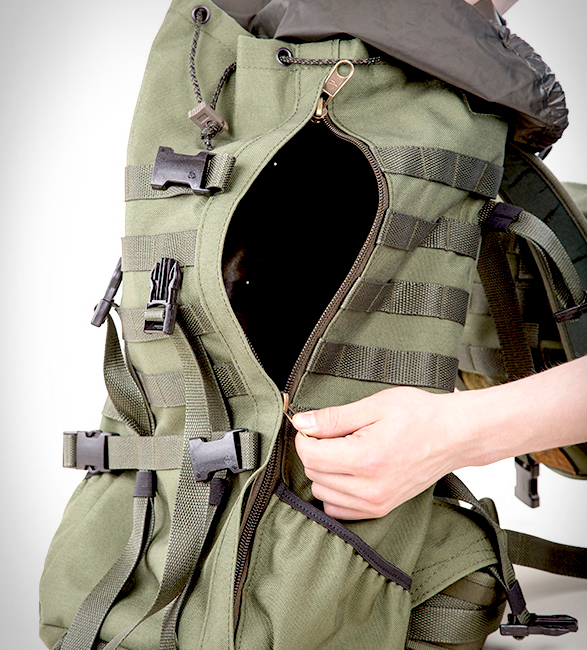 The contents of the backpack can be accessed quickly also from its right side through a vertical zipper. 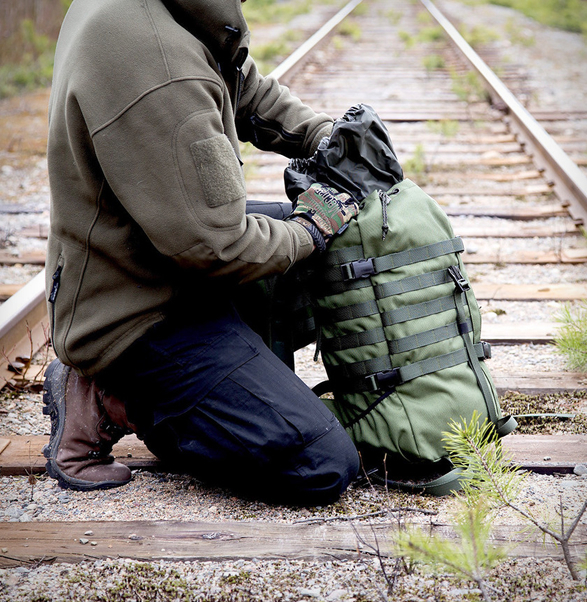 Make sure you watch the video below where they really put the bag to test.